To watch Ian Shepherd’s full presentation at AES Mexico last year, click here. Bob Katz, a respected audio engineer, reckons the Loudness War will soon be over because of the launch of iTunes new streaming service iTunes Radio. The default setting on iTunes Radio is for every song to be normalised to the same volume settings, meaning that whatever level a song was mastered at, it will play at the same volume as the song before it. 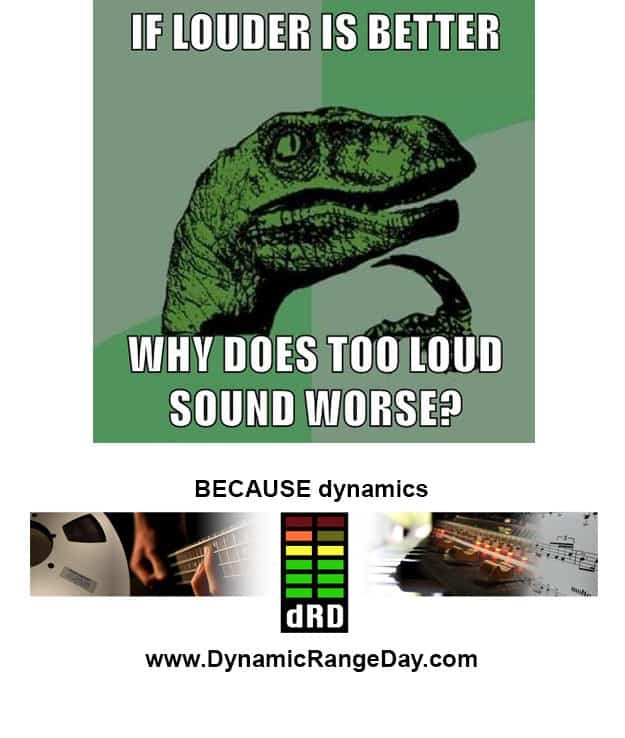 I wanted to learn why some songs are produced to be louder than others, so I talked to audio engineer Ian Shepherd from Dynamic Range Day. Click to read full article. 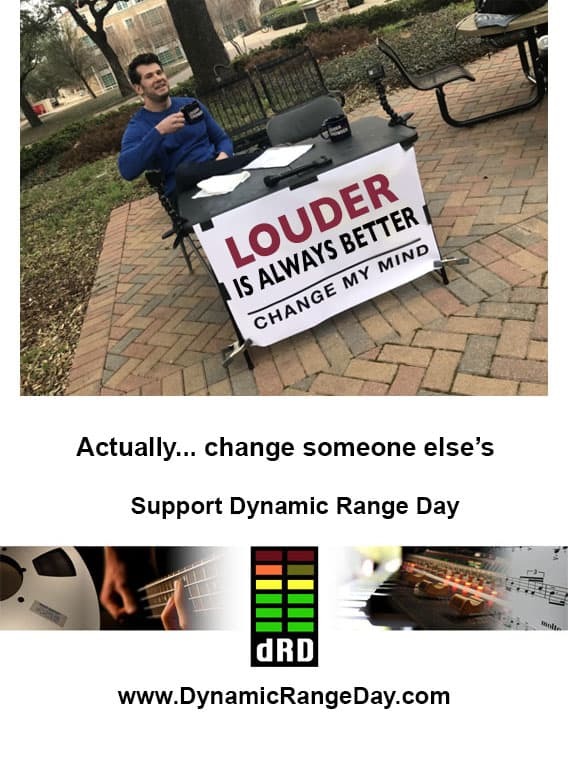 HAS THE LAST BATTLE OF THE LOUDNESS WAR BEEN WON ? “I have just completed loudness measurements of iTunes Radio using iTunes version 11.1.1. Tunes Radio’s audio levels are fully-regulated, using Apple’s Sound Check™ algorithm. This is a very important development,” Katz said.